The defending NWSL and ICC champions have their side selected and there are a number of familar faces for those who follow us in the various medias. They open the season at home on April 13 facing the Red Stars and it seems Paul Riley again has a stacked side. 20 of the 22 senior spots are returning players, an amazing percentage and bodes well for the team especially early season as other teams are still building familiarity with their players. The pair of newbies being Canadian National Team 'keeper, Stephanie Labbe and defender Ally Haran. Along with them, 2018 draftee Ryan WIlliams signed a supplemental deal in the offseason. 2019 draft picks Leah Pruitt, Haily Harbison & Lauren Milliet have been offered deals, more information is expected in the near future. The Courage had a great 5-0-1 preseason record with 13 goals for yet conceeding but one. Merritt Mathias who we met at a soccer clinic on LI is of course back with the team, Heather O'Reilly who we last saw at the ICC Launch Event in NYC is back in the fold, Long Island product Crystal Dunn who played Sunday night with the returning goal scorer v Belgium Jessica McDonald also returns. 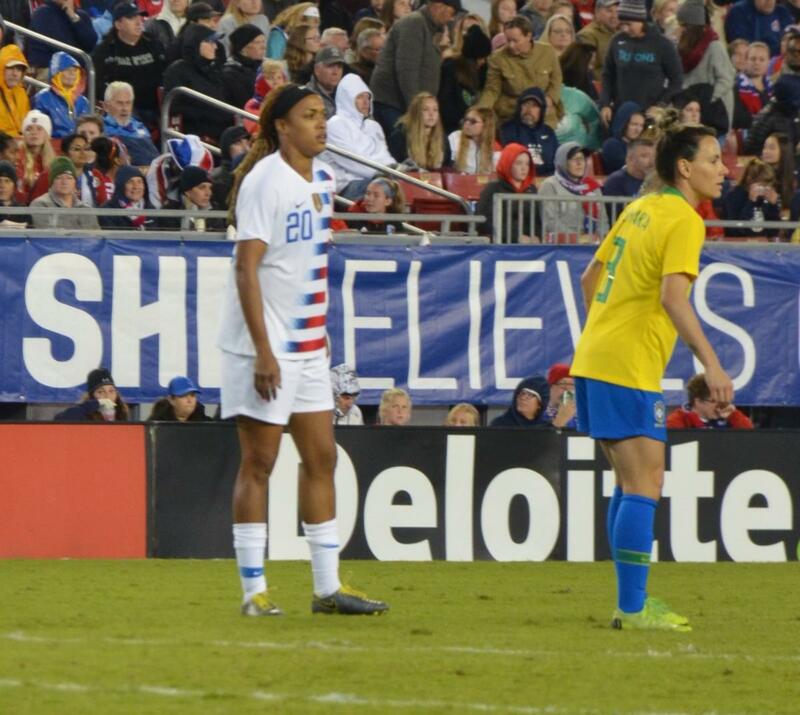 Jessica McDonald facing Brazil in March. 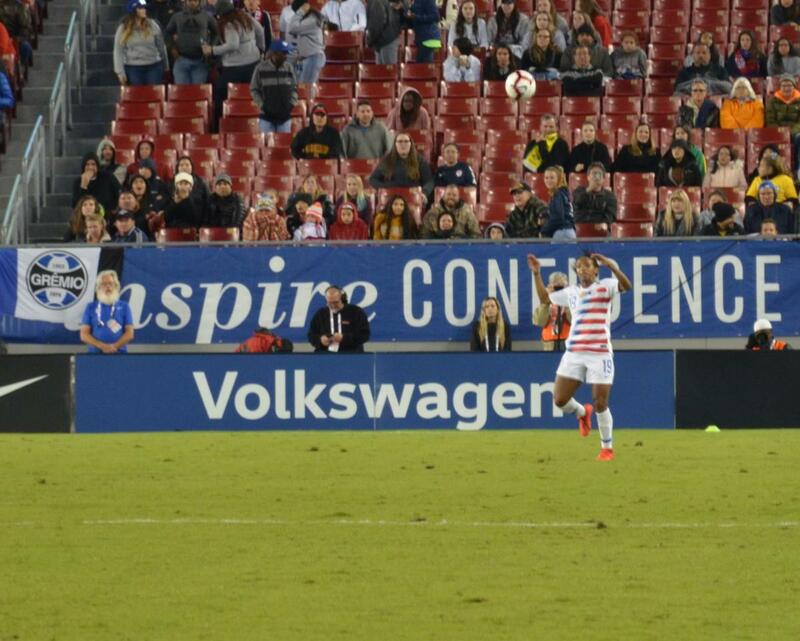 Crystal Dunn in the She Believes Cup. Merritt Mathias working with youth players on Long Island in Dec.